Use a treadmill mat underneath your equipment to stabilize it and to protect your floor. When you are working out, you don’t want to worry that your equipment will cause problems of any kind. 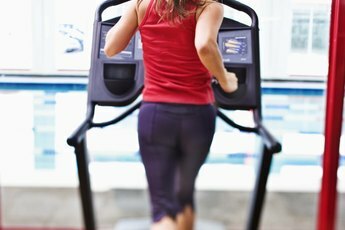 Although treadmills are heavy, they can slide and shift on hard surfaces, particularly when you are working out. 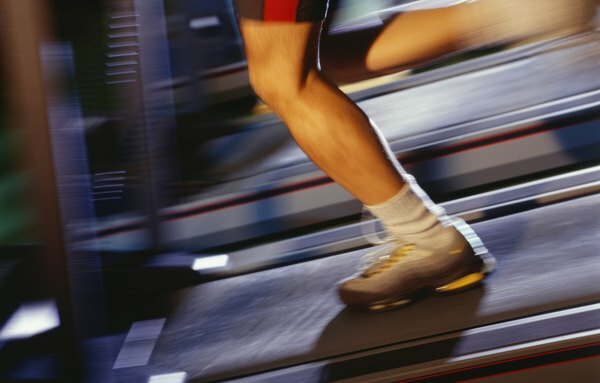 If your treadmill is not 100 percent stationary, it may damage your flooring and pose a safety hazard. A rubberized mat underneath the treadmill will keep it from moving, protect the floors and also provide a degree of sound insulation as well. Measure your treadmill from front to back and side to side. Some treadmills are larger than others. The mat should be at least slightly larger than the treadmill. Determine where you want to put the mat and treadmill. Clean the surface of the floor before unrolling the mat over the area. Sand or other debris trapped underneath the mat could damage the floor once the treadmill is in place over the mat. Place the mat on the floor in the location where you’d like to position the treadmill. Adjust the mat just right and get it where you want it, because once the treadmill is on top of it, it will be too difficult to move the mat with the treadmill over it. Center the treadmill on the mat. Many treadmills fold for easy transportation. Check your instruction manual.. 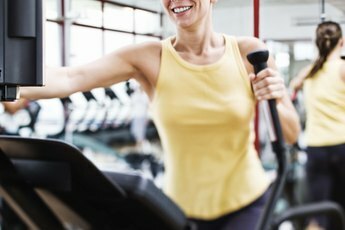 Ask a friend to help you move your treadmill to prevent injury. Choose a thick and heavy mat for durability. If possible, purchase a mat in person at a store where you can check it out for yourself. If you choose to purchase one online, read the product reviews to find the best mat that will protect your floors and stabilize your treadmill. Boxing Scene: The Importance of Treadmill Mats? 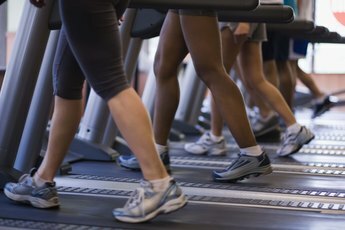 What is the Correct Method of Walking on a Treadmill?